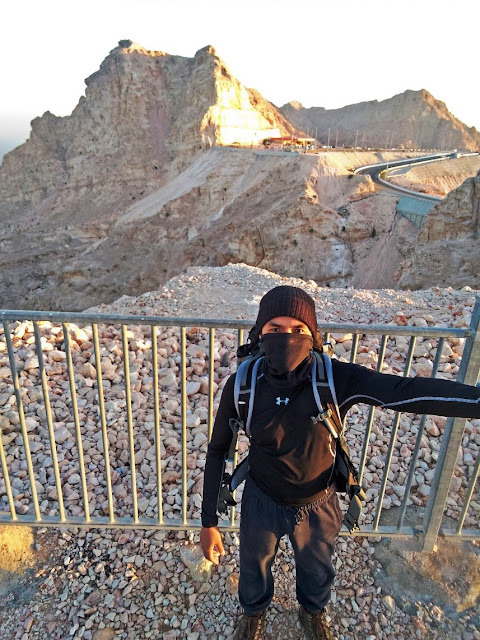 Jebel Hafeet (1,249masl) is the highest mountain in Abu Dhabi Emirate and the 2nd in United Arab Emirates (following Jebel Jais at 1,934masl). From the base, walking to the top or the highest viewing deck is 11km, which took me more than 3 hours including photo taking break. Bring plenty of water, though there are 2 cafeteria located above (1st one is around 10km and the 2nd one is at the last). 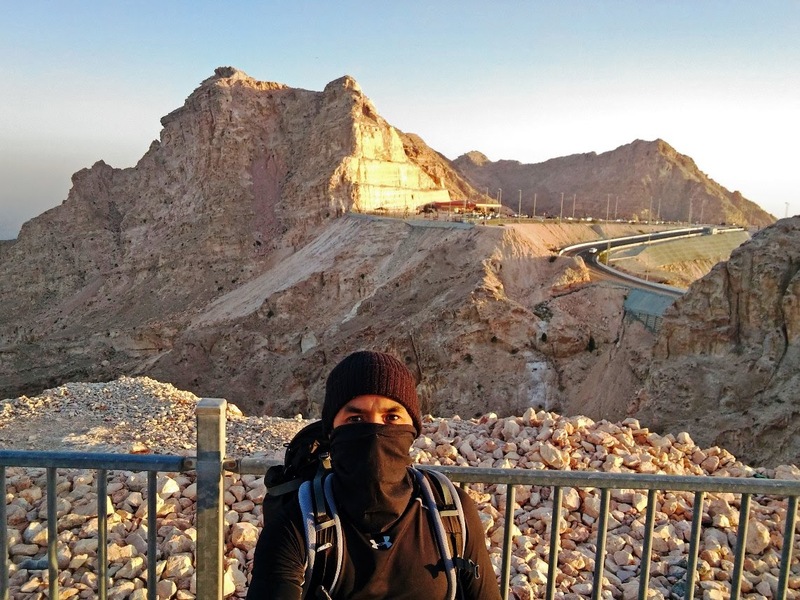 Once you reach the top, you'll be rewarded with magnificent views over Al Ain. This walk is ideal for relaxing and very easy training of uphill walking. From Abu Dhabi Bus Terminal, there are every 30minutes daily departure to Al Ain Bus Terminal (2.5 hours travel time at 25 AED). Then, walk going to main road and wait for bus #970 (every 30 minutes departure at 2 AED for 45mins travel time going to Green Mubazzarah). Start walking to the sign Jebel Hafeet, free admission.